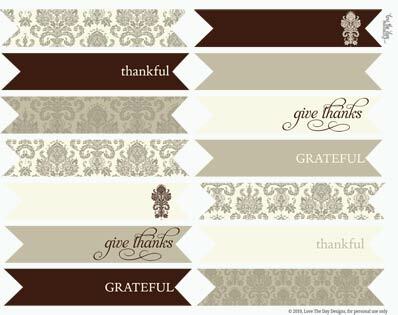 FREE Thanksgiving Printables from the Love the Day! 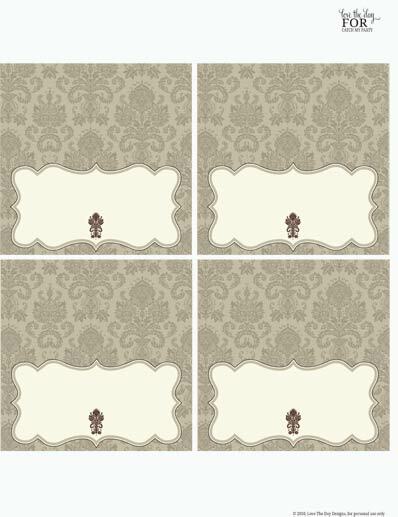 So you're planning something elegant for Thanksgiving and wanted some FREE Thanksgiving printables to add polish to your table. Well, you are in luck! Lindi from Love the Day, who designed one of our adorable free Halloween printables collections, has now designed this FREE Thanksgiving printables collection just for us to give away! How cool is Lindi?! 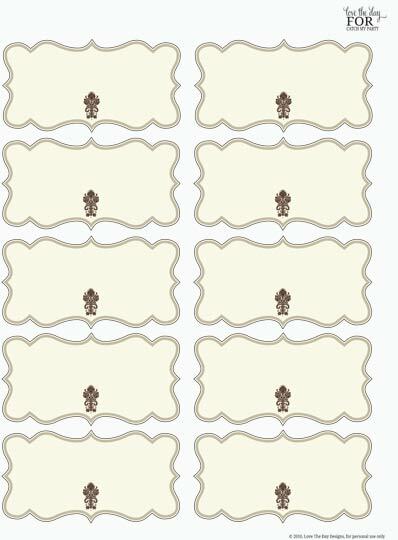 Download the free Thanksgiving printables here! Thank you, Lindi, for these beautiful printables!! To see more of Lindi’s party designs check out both her blog Love the Day and her Etsy shop. Also make sure to take a look at her beautiful parties on our site. I LOVE these!! Thank you Lindi. Simply beautiful! These printables are perfect!! Thanks so much!! 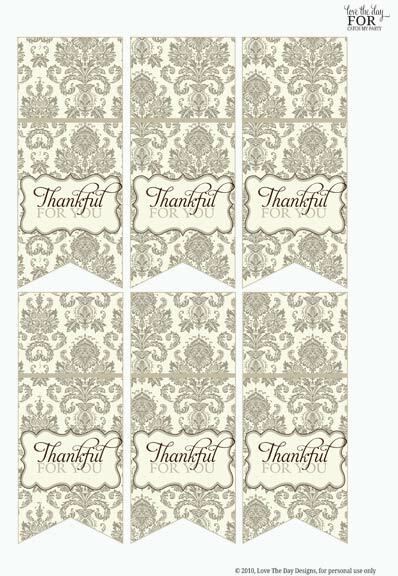 These will be perfect for my Thanksgiving Dinner Table! Thank you for sharing!! Yay! Our download is working. Hope your Thanksgiving celebrations are beautiful! These are just beautiful! Thank you. I have been able to download them fine, but I can't get them to print for anything. Is it just me? Is anyone else having this problem? I am able to print anything else, just not this file. Any ideas? Wow! These are beautiful. Thank you!! These are stunning and I cannot wait to use them! Thank you, thank you, thank you for sharing your talent with us all. We are thankful for you! does this beautiful download come with the entire package? i get to half the flags and it stopped downloading the rest.